This excursion combines two of the most popular attractions in Juneau, the Mendenhall Glacier and Whale Watching. Purchasing these two options as a combo tour will allow you to be as efficient as possible with your time in Juneau and reduces time spent in transportation. Your tour begins at the base of majestic Mt. Roberts in the historical downtown district. As you drive through the downtown area, you will see the streets lined with historic buildings, gift shops, jewelry shops, and local fish restaurants. You also get a glimpse at the governor's mansion and if you're lucky, the State Capital Building, and the world famous Red Dog Saloon. As we make our way north to the Mendenhall Glacier, we will pass a real Alaskan boat harbor, full of Alaskan fishing boats and boat houses. We will also drive by a wet land refuge and in a distance you will get to see the majestic Chilkat Mountains. Once you arrive at the glacier you will have roughly 45 minutes to walk around the visitor center, walk the elevated bear viewing trail, or walk down the photo trail which winds along Mendenhall Lake for beautiful views of the glacier. The visitor center also has a short film about the Mendenhall Glacier and is very informative. Admission to the visitor center is included in the price of the tour. Then it's off to experience the whales' playground. You'll cruise in a fully enclosed and heated cabin onboard our "mammal friendly" jet boat where you can experience a close encounter these beautiful marine mammals. Whale Watching includes a 100% guarantee that you will see whales. Once you’re aboard the comfortable jet boat, the captain and naturalist lead the way on an unforgettable search for whales in the calm waters surrounding Juneau, Alaska. Binoculars are provided so you can better see the Humpback whales, Killer whales, harbor seals, Steller sea lions, bald eagles, black bears and other wildlife that call Southeast Alaska home. This area one of the most populated feeding grounds in the World, which enables us to guarantee whale sightings. Be prepared for wildlife viewing at it's best with picturesque snow-capped mountains in the background. Included in the price of the tour are onboard refreshments including complimentary snacks and beverages. 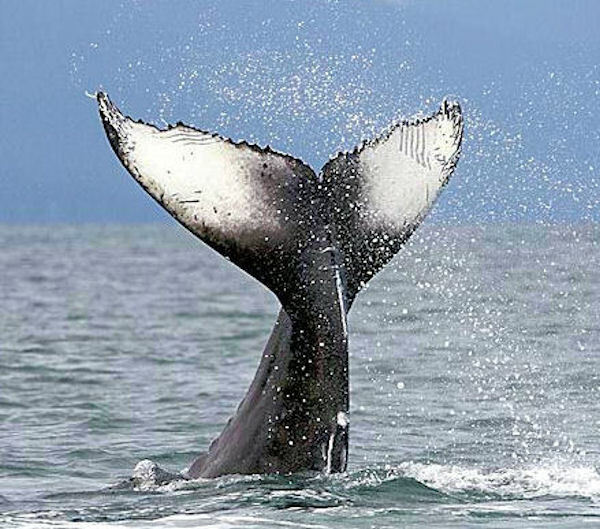 Our captains are so confident that you will find a whale that they will offer a full refund if you do not! Wear Layers. Bring your Camera. Our Boats are designed for that up close view of the Whales with both indoor and outdoor viewing options. Child's rates if applicable are for children age 3 to 12. Children under 2 are free, but you must contact us after booking if you have a child under 2. Each boat is fully enclosed and heated with a marine restroom onboard.